What started as a what-if concept – lower a giant, lighted mushroom at the stroke of midnight while collecting items for the local food bank – has evolved into a sensation that has garnered lots of media attention and promises an evening of family-friendly entertainment in Kennett Square. 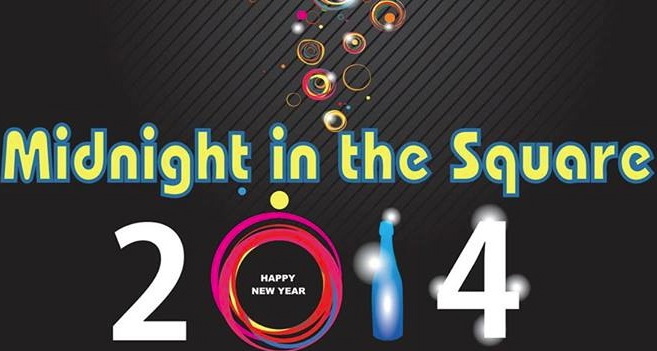 The inaugural Midnight in the Square will take place from 9 p.m. to 1 a.m. on New Year’s Eve. The celebration will include live music with the fabulous Funsters, a gourmet food truck and food court on Broad Street, and lots of family-friendly fun, including the lowering of the 8-foot, 700-pound, lighted metal icon from a crane at midnight. Along with the outdoor fun, attendees will be able to warm up inside the American Legion for a $5 admission fee (entrance on Broad Street) with a live D.J., a cash bar, finger food, and noisemakers. Parking for Midnight in the Square will be available at Kennett High School and at 600 S. Broad St., the (Genesis) lot across from the high school. The bus stop for both locations will be at 600 S. Broad St. The shuttle buses will run from 9 p.m. to 12:30 a.m. on New Year’s Eve. Buses will drop off at Center and State – an entrance to the event. Follow “festival parking” directional signs for the event. In keeping with the true spirit of the event, the organizers ask that you think of the mushroom as a symbol of food and help feed those in need this New Year’s Eve. Non-perishable food items are the price of admission to the celebration, and Kennett Food Cupboard trucks will be onsite for all donations. 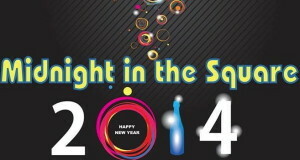 Many of the borough’s shops will be open late and offering specials during Midnight on the Square.